The story was inspired when some friends moved to an apartment backing onto communal gardens not far from Notting Hill in London. When I walked out and saw the children playing there I couldn’t help wondering what might happen if they could meet the children who had lived and played there in Edwardian times. There were many drafts in the early days (I didn’t plot, and things got very muddled! ), and it was many months before I felt ready to show the story around. 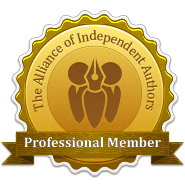 My first step was to submit it for comment to an independent manuscript appraisal service, The Writers’ Advice Centre for Children’s Books, which I recommend to this day. Thereafter – and several rewrites later – I sent it off by post to a half a dozen publishers only to be told that the story was “too traditional”, “not what children are looking for these days” or “not for our lists”. After the six- to eight-week wait to hear back, I was despondent – and many reading here will know that awful feeling of rejection! I had better luck with my next story Eeek! The Runaway Alien (a humorous chapter book about a young alien who comes to Earth for the Word Cup), with Bloomsbury asking for more material, and an agent asking for a further version. However, when this eventually came to nothing I decided the odds of getting published were stacked against me in a very large, slow-motion lottery — so I packed everything away and went back to my day job as a business writing consultant where I knew I would at least earn from my writing. After that The Secret Lake, Eeek! and various other stories lay in a wooden box under my office window for over 10 years. I used to glance at that box from time to time and think what a shame it was that no one would ever know the magical story of The Secret Lake. I also recall fleetingly wondering if one day my great-great grandchildren might discover it and bring it back to life. In fact, it wasn’t the future grandchildren who would breathe new life into The Secret Lake. I took a yearlong sabbatical from my consulting work in late 2010 and pulled my stories out again. Around that time self-publishing via Amazon’s CreateSpace was being talked about online and, once I delved deeper, I knew it was for me: it would put me in control and allow me to get my story in front of children instead of sitting unloved in someone’s slush pile. It was a lonely business back then – no Facebook Groups or self-publishing organisations to join to swap expertise (and frustrations!). And book formatting tools were few and far between — and extremely clunky compared with what’s on offer today. I had lots of setbacks but The Secret Lake was finally born in print and for Kindle in September 2011. Once The Secret Lake was out, I set up a website, contacted and visited local bookshops and sent press releases to local magazines, newspapers and community newsletters, taking care to point to where it was stocked locally. My first event was a reading in our local library. I was terrified that no one would turn up – or that I’d have hordes – and I burst into tears from nerves the day before. In fact, there were seven children, seven adults and the library staff. It was perfect. The librarian even served tea and cakes! Thereafter I began connecting with local schools, which entailed a lot of research and persistence. Gradually (very gradually) it began to pay off and my local author brand started to grow. My instinct that children still hanker after a good adventure story had proven itself long before its recent rise through the Amazon ranks. By the end of 2017 I had sold over 7,000 copies through a combination of school visits, local independent bookshop sales and signings in six branches of Waterstones (a major UK book chain) around southwest London – plus a steady trickle of online store sales in print and for Kindle in both the UK and USA. During this time the then Head of Independent Commissioning for children’s CBBC also read and enjoyed it, and recommended I pitch it to the BBC and/or to independent production companies. It didn’t get chosen by the CBBC in the end, and life and other writing got in the way after that. However, pursuing the second option is now high on my task list and I’ve even had an enquiry from Hollywood recently. (I am sure this will be case of ‘watch this space for a VERY long time’, so I’m not get excited just yet…). The Secret Lake has always been my bestseller at school visits but raising its profile beyond face-to-face events and my local bookshops has, until this year, been by far the hardest part of being an independent children’s author. And if people farther afield don’t know your book then they don’t know to look for it – be that online or in high street bookshops. This in turns means that children won’t know about it in sufficient numbers around the UK to spread the word and so fuel further demand. By the time I started promoting it, The Secret Lake had 45 reviews, gradually built up over the years. These undoubtedly helped encourage sales once the book became visible, and the review numbers are now slowly growing. I’m so grateful to those parents and grandparents who have taken the time give their feedback, or help their child give their feedback. As any author will tell you, it means so much after all the hard work – and particularly in the case of children’s authors where our readers don’t have access to the online reviews platforms. So, thank you if you have left a review recently or in the past! I’m especially delighted to report that word-of-mouth customer requests have also led to independent and high street bookshops outside of my locality placing orders for The Secret Lake through wholesalers, with over 60 recent UK sales and similar in the US this way when I last checked. This is great news for bookshops and readers alike. For once, Amazon seems to be helping high-street bookshops make more sales. As The Secret Lake continues to land on hundreds of doormats in the UK, US and Europe (notably Germany) each week, I can’t help thinking back to those early rejections. I truly felt there was a gap in the market for more classic adventure stories – the sort I’d enjoyed as a child, but with a modern twist. I’m so glad that children, parents, librarians and teachers have confirmed my suspicions and given this story the chance to breathe. If you have a story you truly believe in, the chances are it won’t let you give up and you will get there eventually. And it will be a lot of hard – but enjoyable – work! 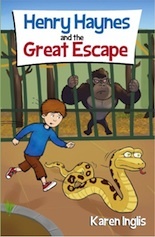 Have a book-loving 8-11 year-old at home? You’ll find copies of The Secret Lake on Amazon in your country here. It’s also available in print in all online stores worldwide. Alternatively use the link top right of this page to find your closest independent bookshop to place an order. If your child has read and enjoyed it, it would mean a lot to me if you could help them leave a review online. Thank you! This entry was posted in Blog Update, Self-publishing, The Secret Lake. Bookmark the permalink.